Our fully structured driving lessons in Wrexham, developed over 25 years assure every point is covered before presenting you for the driving test. With the best chance of passing first time. Booking your driving lessons with Nigel Richards Driving School is simple, just give us a call or a text to discuss availability to suit your needs. We will then arrange your first lesson with one of our patient, professionally trained instructors to fit in around your schedule. Then as best we can keep that as a regular weekly slot for you. How long are the driving lessons? Your lessons can be 1, 1.5 or 2 hours slots, with the two hour slots being the most productive and popular choice. We have tried 3 hour lessons but find the last hour gets a little tiring but are happy for you to try them if you wish. 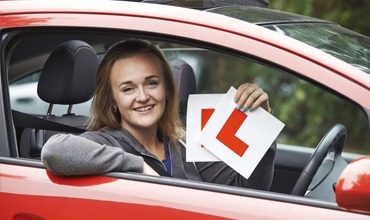 To help make driving lessons more affordable we off a excellent discounts for paying for blocks of lessons in advance. And often have special offers on with further discounts. Booking the block lessons of packages ensures you are in our instructors diaries for regular driving lessons. This is the surest way to keep your progress moving towards the passing driving test goal. Keeping the lessons regular will soon have you achieving those driving goals. If they are leaving public transport, more independence or making a difference to your families lives Nigel Richards Driving School is here to get you those results! Having practice in between your driving lessons can really help you master and fine tune the skills needed to perform at the high standard needed to for today's driving test. We encourage this as much as possible and like to communicate with the accompanying drivers.